How Many Different Flavors Can You Find in a Cigar? Dr. Mitch Fadem is a biomedical toxicologist and cigar aficionado who started a "Cigars for Troops" program in 2007. The master cigar blenders of the world work as diligently as do the distillers of single malt whiskey, vintners creating wine, master brewers of beer, and the tea and coffee producers of the world. Cigar blending is both an art and a science. The flavors are created by the soil of the growing region, the crops grown in tandem with the tobacco (such as coffee beans), the variety of leaves (from the hundreds of types of tobacco plants), where the leaf grows on the plants, the aging of these leaves after harvest, how they are aged, the blending of various tobaccos, the rolling process and finally the aging of the cigars. Whew, that was a long-winded explanation but most of the people smoking cigars don’t understand the complexity that goes into its creation. 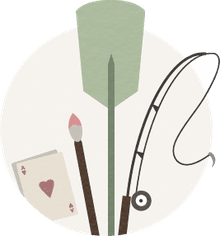 Below is a list of terms derived from key articles on this subject as well as information that the About.Com Cigar Guide Gary Manelski has created on his website to provide education about cigars. The terms have been grouped into types of tastes that you might find. Keep in mind that 75% of taste (flavor) really comes from the smell (aroma). Understanding the anatomy of taste and smell is important for understanding this concept. These terms include spicy, sweet, salty, nutmeg, roasted, creamy, cinnamon, and peppery (as in a type of pepper like red, black, cayenne, or others). Not all food terms will be appropriate for cigars. For example, individuals familiar with southwestern cuisine probably know of green chilies among the pepper family, but there is unlikely to be a cigar that has that flavor. Most of the words considered "food terms" invoke sensory memory and are usually associated with foods. There are subsets of food that are their own categories of terms below. These terms include butterscotch, caramel, toffee, cocoa, vanilla, and chocolate (both dark and milk). While desserts are food, they are separated because they are words related to specific types of “sweet” flavors that can often be a result of the type of region the tobacco is grown in and the aging process. This is not to be confused with flavor infusion, which is what the manufacturers of artificially flavored cigars do. Very simply, these would be the names of various fruits like apple, pear, grape, oranges, and any other fruit you can think of. There are lots of nuts out there (some of us write cigar reviews), but different nuts can be very helpful in describing full-flavored cigars. Some terms that are often used include walnut, cashew, peanut, almond, hazelnut, and more. These words are especially popular and are favorites of cigar reviewers. The terms include woodsy, cedar, oak, pine, cut grass, green twigs burning, and even the word dirt. On these terms, individuals are particularly stepping into the realm of aromatic descriptions, but please remember the relationship between smell and taste (75% of taste is actually smell). This category of terms is not used nearly as often, but ones that might be considered include copper, lead, iron, or chrome. Even where you might experience some of these tastes, they are less likely to be considered desirable flavors. In some cases, the metallic flavor is a result of the storage of the tobacco or even the cigar. Since cigar flavor preference is very personal, there might be someone who is looking for these types of tastes. 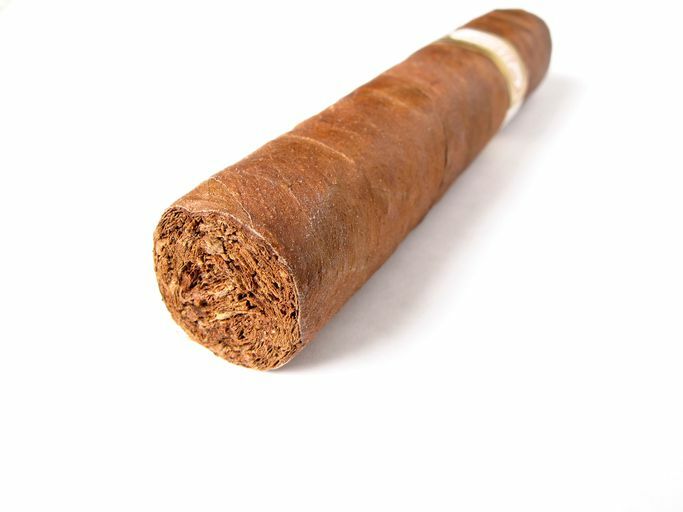 There is only one term related to chemicals which is likely to be a positive or desirable description of a cigar and that is “acidy.” Some reviewers might call this “bitter” but it does tend to make you take notice of the cigar and place it into a “bold” category. This is an easy one with familiar terms that people will use, likening cigars to beverages. For example, espresso, Columbian coffee, French Roast, and all types of coffee-related terms can be used. Of course, this category also encompasses words that relate to wines, whiskeys, beers, and other spirits. These terms go along with pairing cigars to various beverages, which is something many aficionados like to do. Smoking is all about relaxing and taking time out of the day to reflect and doing that with a beverage, such as a hot cup of coffee, tea, cold beer, wine, or scotch just enhances that smoking experience. "Leather" does not describe a taste that everyone would like in cigars, but there are many cigars out there that hang their hat on this term as a sign of a good cigar. As you ruminate over the above terms, try to imagine each of them with a “smokiness” attached to them. For example, the combination of fruit terms and smokiness might be reminiscent of experiences with hookah, which may be specially prepared with dried fruits or fruit flavoring. This is the type of picture you might want to imagine when you try to envision the different cigar flavor terms. In conclusion, if you read a review of a cigar and see flavor terms, that will help you determine if you want to try that particular cigar. Of course, the flavor is described as relating to any type of material produced from the South end of a horse headed North (or any other animal), you probably want to avoid it.